Today the fantastic All About Jazz website published an interview with me, so I thought I’d re-post it here for you to check out. The original interview can be viewed here, where you can comment on the post. Meet Simon Little: I’m a session bassist living in London. Most people know me as the bassist with The Divine Comedy and Duke Special. I also tour regularly with Clare Teal and Maggie Reilly. As a jazz bassist I usually play with singers. Most notably Kate Eden, Lea DeLaria, Ian Shaw, and Nina Ferro. I’ve also played and recorded with Nick Cave & Warren Ellis, A Girl Called Eddy, Chris Difford, Jamie Cullum, Liane Carroll, Beth Rowley, Ben Folds, Norma Winstone, Claire Martin, Pee Wee Ellis, Alan Barnes, Polly Gibbons, Newton Faulkner and The Ronnie Scott’s Allstars amongst others. I had a go on a bass guitar for the first time. I approach all music with an open mind. It’s important to know where you fit in as a sideman and what you can and can’t do in any given situation. This comes from playing with a wide variety of bands and singers. My sound as a solo artist is very distinctive. You can hear a lot of my influences in my improvisations. I train my students to teach themselves. I introduce a broad spectrum of learning skills and practice techniques so that students can claim ownership of their development and continue improving independently. The 606 in Chelsea. The best jazz club in the world. And the best sausage and mash you’ll ever have. Personality and presence. I’d like to think you can hear me in whatever music I’m playing. Generally in the UK, I would say the scene is struggling. I’ve been very lucky to have worked with some of the UK best jazz artists over the last ten years and those artists will always have a strong audience. I think it must be very tough for younger players coming through from all the colleges these days. A lot of the smaller venues in London are disappearing…. What is in the near future?As well as maintaining a busy touring schedule with Clare Teal, I’m also currently working on a new duo project with drummer Steve Alexander called Little Alex. We are combining my live looping with Steve’s live drums and electronics. We should have an album out by the end of this year.Also am about to start working on a new production at The National Theatre with Ben Castle. This runs all through August and September so I’ve got a busy couple of months ahead! Big thanks to everybody at All About Jazz for helping spread the word of the new album. Hoping to have the album reviewed by them at some point in the near future. In the meantime, you can check out the most recent review at eBurban. 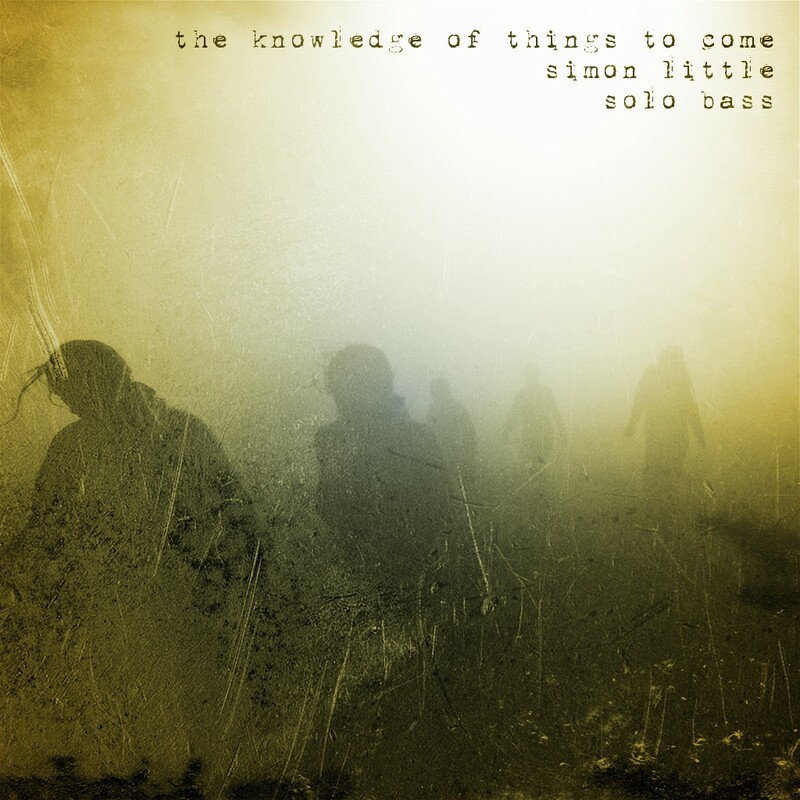 Well it’s been a fortnight since I released my new solo album The Knowledge of Things To Come on Bandcamp and iTunes. So far I’ve had a very positive response from all concerned. Little presents a series of atmospheres, a selection of airs for us to inhale. They do not take us to extreme places: there is a tang of melancholy, but there is also a sense of purposeful movement. The experience of listening is highly rewarding, for the continual sonic transformations, and the ongoing flow of ideas, as well as for the moods he creates. The Knowledge Of Things To Come is the work of a thoughtful and very creative musician, and one who shows signs of development and growth with every new release. Oliver is such a great writer. He has previously done reviews for both Mandala and the Rejectamenta EP. In fact he is the only person to have reviewed all my solo releases. He has a brand new website so go check it out and subscribe to the feed. I also had a little feature on the front page of the Warwick website. For those of you that don’t already know, I am a long-standing endorser for Warwick basses and amps. The whole of the record (and the previous albums) were recorded using my fantastic Warwick Thumb bass and they are a big part of my sound. I was really pleased to be featured on the site again and it’s great to have their support, especially for the solo projects. One track from the album will be the featured free download of the day on the All About Jazz website on July 16th so keep your eyes peeled for that one. I won’t spoil the surprise and tell you which one. I’ll keep you posted on any new reviews or features on the album as they come in. Probably via Twitter. I’ll assume that if you’re reading this we probably chat on twitter at some point! Had a rather busy week last week as I scooted up and down the country with Clare Teal. We played Glastonbury last Saturday in the Bourbon Street tent. Didn’t get much chance to see any other acts (saw two songs from Rumer on the main stage; it was nearest) and only slightly wrecked my bass in the mud. Please remind me to take my electric bass next time I play Glastonbury; it really isn’t the place to be carting around antique instruments. I went straight from there to play a show in Tychy (I’ve seen it spelt about a million ways) in Poland with Maggie Reilly. We had a lot of fun out there in the short period whilst we weren’t on planes and waiting in airports. For the first time since I’ve been playing with her, somebody in the audience filmed us playing a song that isn’t Moonlight Shadow. Here is a wobbly video of us playing To France. The sound is pretty nasty so don’t get over-excited! I hope you’re all enjoying it.